Thank you for joining us as we announce far-reaching changes with regard to the implementation of the Gauteng Freeway Improvement Project. Today, we are announcing details of a new dispensation for the users of the Gauteng freeway network. We are announcing a dispensation that is fair, affordable and sustainable. This new dispensation is the product of extensive engagement between national government and the province of Gauteng and as approved by Cabinet. Our engagement with the Gauteng Provincial Government was enriched by the findings and recommendations of the Advisory Panel appointed by Premier David Makhura in July 2014 to conduct a comprehensive impact assessment of e-tolls in the province. The panel’s findings were based on thorough consultations with stakeholders, public meetings, research and round table discussions with experts on transport, the economy and the environment. It is worth recalling the findings of the Advisory Panel. • The implementation of the Gauteng Freeway Improvement Project and e-tolls has benefited the economy and the people of Gauteng through a better quality road system, reduced travel time, improved fuel efficiency, reduced vehicle operating costs and improved logistics efficiencies. • There is general acceptance of the user-pays principle. • It was, however, found that in its current form, the e-toll system placed a disproportionate burden on low- and middle-income households. • Elements of the current e-toll system should be reviewed to address the questions of affordability, equity, fairness, administrative simplicity and sustainability. • A hybrid funding model should be found that includes significantly reduced tariffs, monthly caps and financial contributions by the Gauteng Provincial Government and national government. The new dispensation we are announcing today is a product of our engagement as national and provincial governments. It addresses in a comprehensive and balanced manner the concerns raised by our people in the province of Gauteng and beyond. • Public transport remains exempted. This applies to buses and taxis with operating permits. • A single, reduced tariff will apply to all motorists. As an example, the current standard tariff of 58c per kilometre for light motor vehicles will be reduced to 30c per kilometre. This single tariff will apply to all motorists within a vehicle class whether they have an e-tag or not. • The monthly cap has been dramatically reduced. Users of light motor vehicles will not pay more than R225 a month. This is half the current monthly cap of R450 a month. Revised caps will also be introduced for other vehicle classes. • There will be no charge for infrequent users who make less than 30 gantry passes a year. If a user exceeds 30 gantry passes in a 12-month period, they will be liable for the usual charges. • E-toll fees that are currently outstanding will be discounted by 60%. Users will have six months within which to settle their debts dating back to December 2013 at the discounted tariff. This does not disadvantage users who have been paying e-tolls all along. • There will be a monthly cap on the penalty for accounts in arrears. All users who do not pay tolls within the required 30 days will be obliged to pay double the toll tariff. To protect users from incurring high amounts of debt, this will be capped. In the case of light motor vehicles, for example, the monthly cap for accounts in arrears will be R450. 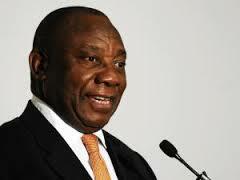 • Settlement of e-toll fees will be linked to motor vehicle licence renewal. To further simplify the process and ensure better integration of road management systems, motorists will need to settle any outstanding e-toll fees before vehicle licence discs are issued. • More payment options and a simplified administration system are being introduced. Alongside a substantial decrease in the cost to users, the new dispensation will integrate existing information systems to improve ease of use, accuracy of information and coordination between different agencies. This will make it easier for vehicle owners to pay their toll fees at different points. These will include SANRAL kiosks, Post Offices, provincial licensing offices, retailers, vehicle dealerships and online. The significant reduction in tariffs and the new monthly caps will result in an annual estimated shortfall of R390 million in revenue to service the debt. This shortfall will be shared between national government and the Gauteng provincial government. The new dispensation will be implemented in phases. The new cap and revised tariffs will be implemented in the next two to three months. Timelines for implementation for the rest of the changes are dependent on legal and regulatory processes. Announcements in this regard will be made shortly. Regular updates will be provided as the new toll system is developed. The new dispensation demonstrates that we are both a responsive and a responsible government. It addresses the concerns of Gauteng motorists, particularly those from low- and middle income households, while ensuring that our approach to the construction and maintenance of a road infrastructure is sustainable. We have reaffirmed the user-pay principle as a fair, affordable and reliable mechanism to fund infrastructure development. The new payment options safeguard the integrity of the fiscus and enhance the ability of the South African National Roads Agency to raise funds to meet its obligations. It will ensure that Gauteng has an excellent freeway network well into the future while reducing traffic congestion, emissions, travel time and transport costs. As government, we reaffirm our commitment to efficient, reliable and integrated public transport infrastructure and services. This, we believe is the backbone of a modern economy and key to the integration of our cities. Government is fast-tracking its programme to expand our public transport system. The new dispensation demonstrates that cooperative governance works. I wish to thank the officials of the Department of Transport, National Treasury, the South African National Roads Agency and the Gauteng Provincial Government who worked so hard to make this deal possible. We commend the Advisory Panel, whose findings and recommendations enabled us to take concrete steps to address the negative impact of e-tolls. We also thank the people of Gauteng for participating in the work of the panel and making valuable proposals to address the problems. Lastly, I wish to extend a special word of appreciation to Minister of Transport Dipuo Peters, Minister of Finance Nhlanhla Nene and Gauteng Premier David Makhura, as well as MECs Barbara Creecy and Ismael Vadi, for providing such able leadership throughout this complex and challenging process. This new dispensation presents an opportunity for a fresh start. We call on all stakeholders to work with us to build an integrated, reliable and affordable transport system that meets the needs of the people of Gauteng and the country. This new dispensation demonstrates that government is alive to the needs and concerns of citizens. Together, we move South Africa forward.